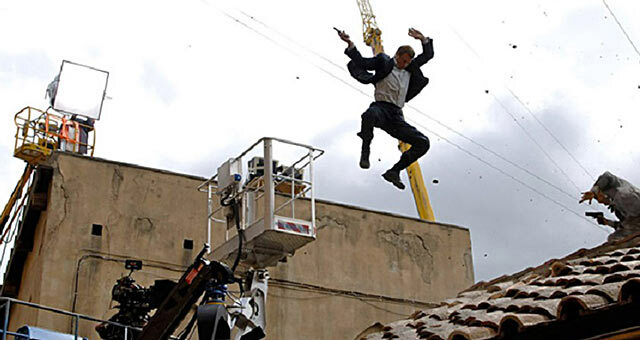 No film production is immune to safety issues. Even careful preparation won’t always stop things from happening, but having worked through a Risk Assessment in advance can be the difference between a sprained knee and something far more serious. Where should I start with sorting out health & safety for my production? If your Production Company H&S Policy is already in place (if not please refer to my article Health & Safety Policy For a Production Company) then you should look to draft a Production Risk Assessment for your project. A Risk Assessment is an examination of what could cause harm on a particular shoot or at a specific location, so that the production company / producer can decide whether adequate control measures are in place to prevent harm. What does a risk assesment look like? Falling from height Camera operator Scaffold erected by competent contractor to industry standard. Guard-rails, mid-rails and toeboards in place. Safe access to platform. Serious Low Low Access onto mobile tower platform restricted to camera operator. Camera operator instructed not to lean over or stand on guard-rails. Falling objects and equipment People at ground level Guard-rails, mid-rails and toeboards in place. Serious Low Low All equipment Secured to scaffold. No loose items. Barriers and warning signs erected to restrict access below tower scaffold. Scaffold falling over People at ground level Scaffold erected and regularly inspected by competent contractor. Serious Low Low Scaffold checked before use. Scaffold not to be used in event of bad weather. A more complex version may be required for multiple hazards and/or multiple shoots. 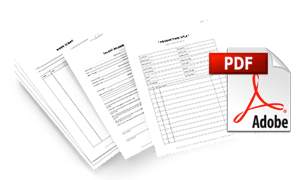 What training do I need to write a risk assessment? You do not necessarily need specific training or qualifications to carry out a risk assessment. As an employer, however, you must appoint someone competent to help you meet your health and safety duties. A competent person is someone with the necessary skills, knowledge and experience to manage health and safety. But we are small fry! If you are a small company or even a one man band, you may want to seek advice or help from someone with more experience until you feel comfortable writing them under your own supervision. Note that for small-scale productions in low-risk situations, eg those involving small crews and where there is no opportunity to scout the location(s), it may be appropriate to finalise the assessment on the ground. The production company/producer must ensure that crew working on this style of production have the necessary competence to perform risk assessment and implement effective controls. 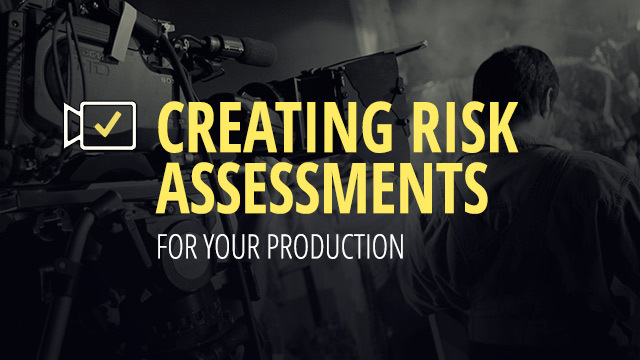 Filmsourcing does have a Production Risk Assessment template that is available for our subscribers. You can also seek advice via the 1-on-1 chat feature or schedule a specific consultation with myself or a local representative. Please sign up and subscribe to download or visit here for more details. As mentioned above in Step 4, you should constantly review and update any risk assessments the resulting controls you put in place to make sure they are still working. After the production, it is good practice to review the whole system to see what lessons could be learned for the future. It is also important to note that these articles and resources provide an introductory framework to Production H&S. Don’t make the mistake of assuming that just because you have filled in some forms that everything is done.